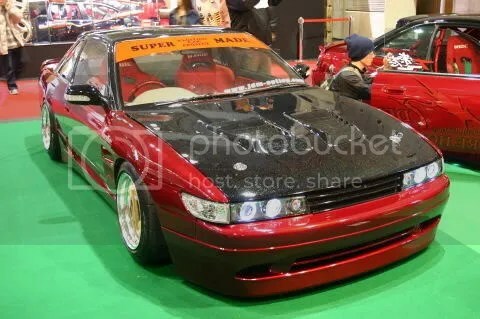 Because It’s Beautiful: SuperMade S13 Silvia – Garage Dusty Exciting Car Team! Taken very early in this car’s life, before the big VIP rims replaced the old Equips. Even before the cage was installed. Note the sparkle paint on the bonnet, and the SuperMade signature candy red steering wheel.